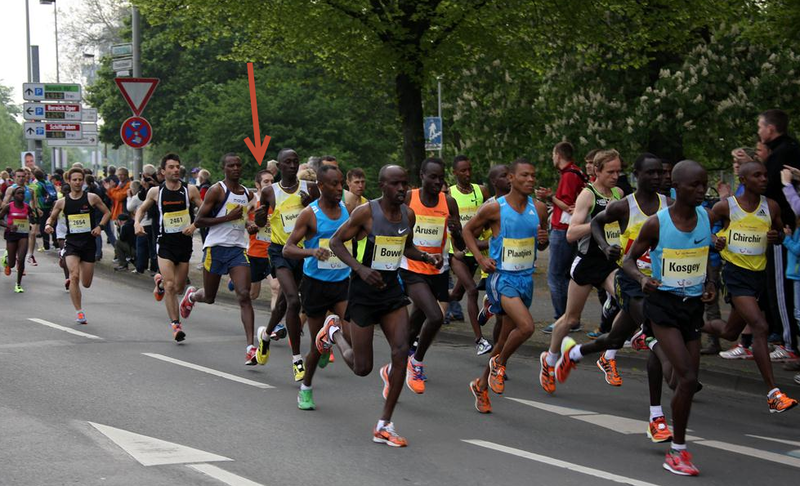 This photo was taken after 700m from the Hannover Marathon 2014's start. My best time is 2:45:44, and then I ran in Hannover -the city where I live-. Good weather, good feelings, good mod and then you run the 1st km in 3:05 together the pros and African.